1 Combine Hellmann’s® or Best Foods® Vegan Carefully Crafted Dressing and Sandwich Spread, mirin, ginger, miso and garlic in small bowl. Brush tempeh with 2 tablespoons mixture and let marinate 30 minutes. 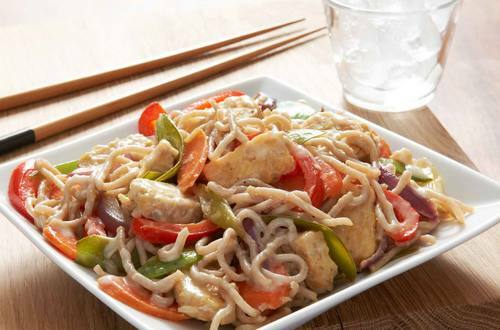 *If more sauce is desired, stir 1/2 cup water into skillet with the soba noodles.